What to bring: We ask that each family attending please bring a snack, appetizer, or dessert to share, and any other food or beverages that you would like to enjoy during the game. We will be providing plenty of ice, soda, water, plates, napkins, utensils, and condiments for the chili. Hope to see you there! Falling leaves and cool weather, signs that the Washingtonian Woods’ annual Halloween traditions are right around the corner! The Annual Washingtonian Woods Fall Festival will be held Sunday, October 28th @ 3:30pm at Washingtonian Woods Park. Visit our neighborhood Facebook page for inclement weather event updates. Calling all volunteers! We need your help! Please take a moment to look at our Sign-up Genius and sign up for slot. Show your Halloween spirit and decorate your house for the annual Washingtonian Woods Halloween House Decorating Contest! Judging will begin at 6pm on Saturday, Oct. 27th. Winners announced on Sunday, October 28th – Prizes (Amazon Gift Cards) for 1st, 2nd, 3rd. Stay turned for further details about Washingtonian Woods Gives Back, our community service project. More information in coming weeks with toy collection at the end of November. Adult Fall Happy Hour Tonight! Friday September 21st from 7-10pm at the clubhouse. Please join the social committee for an adults only happy hour tonight at the Clubhouse. We will provide appetizers including sushi, wings, cheese and mezze platters. The organizers are making a tasty mulled cider. We’ll have non-alcoholic mixers, please feel free to bring your own spirits and libations. We’ll play Left Right Center about 9pm, bring singles (3 $1 bills) to play. Also, please feel free to join the Social Committee on Monday, September 24, 7:30pm at the upper clubhouse for a kick-off meeting to start planning the Annual Neighborhood Fall Fest. Adult refreshments and snacks provided. We welcome new ideas and extra hands. 1st Annual Labor Day Weekend Neighborhood Camp Out this Saturday! Grab Your Graham Crackers – 1st Annual Labor Day Weekend Camp Out this Saturday*! Help us kick-off a great tradition by joining friends and neighbors for the 1st annual Washingtonian Woods Camp Out this Saturday*, September 1st at the Washingtonian Woods Park at 341 Upshire Circle (next to big playground). Campsite setup will begin at 3:30 PM, first come/ first serve, and all gear will need to be clear by 11:00 AM on Sunday, September 2nd. This will be a bring your own everything (BYOE) event…the HOA will provide the campsite, campfires, and use of port-o-pots for bathrooms. 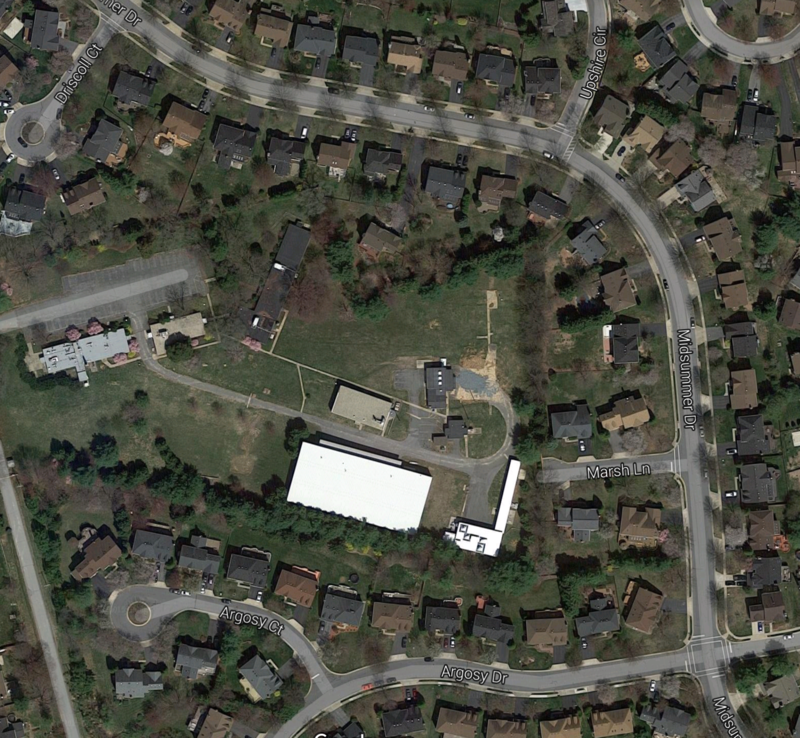 Due to City of Gaithersburg park restrictions, we will provide campfires across the street on HOA-owned property (i.e. Candy Hill). Also, if camping please respect neighbors and fellow campers. Quiet time will start at 10:30pm. *Weather permitting – please pay attention to weather forecasts and watch for updates from HOA. Storms are possible for this weekend. No rain date at this time. **Trash in / Trash out event. Please help keep the park clean and plan to take out any trash you bring in. Please help us spread the word, and we hope to see you all there. We hope that this will be the beginning of a great neighborhood tradition! The Washingtonian Woods Social Committee is hosting the neighborhood’s annual End-of-Summer Pool Party and Dive-In Movie at the Club House this Saturday, August 25th. The party will begin at 4pm. The Social Committee/HOA is providing pizza, soda, water, and juice boxes from 5:00pm to 6:30pm, and then Jean Bullock will host an ice cream bar at 6:30pm. Coolers are permitted (no glass), and rafts/pool floats will also be allowed for the duration of the party. Once the sun goes down we will be showing the “Book of Life” on the big movie screen. Feel free to float on your rafts and enjoy the show! We do need a few volunteers to make this party a success. Please consider donating 30-60 minutes of your time for set up, serving food, or clean-up, and sign up here to help. New Neighbor Coffee This Saturday | Save the Dates! Saturday, August 18th from 9am – 11am! Are you new(ish) to Washingtonian Woods? Please come join us for a Welcome Coffee on Saturday, August 18th from 9 -11 am! The entire neighborhood is welcome and encouraged to stop by and introduce yourself to those who have joined us in 2018! Family friendly, coffee, juice, water, bagels and fruit will be provided. This entry was posted in News on August 17, 2018 by admin. We are in the final stages of preparing the 2018-2019 edition of our Community Directory. The directory will be printed and distributed in September 2018, and will once again be produced by AtoZ Directories. We also ask that all residents log into their AtoZ Online Directory accounts and update their contact information to their liking. All account updates made prior to Wednesday, August 22nd will be incorporated into the printed version of the 2018-2019 Directory.